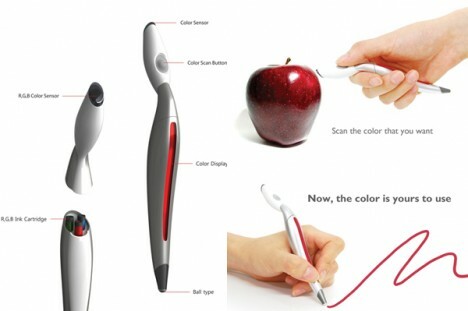 Five years ago it was an mind-boggling design concept, but today the idea color-changing pen has morphed into a working prototype that draws colors from objects and surfaces, natural or artificial, then lets you use them in all kinds of creative ways. This real-world version can make over 16,000,000 different tones and store over 100,000 unique colors in its memory. 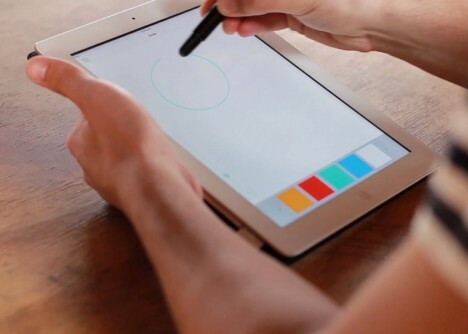 Imagine the possibilities of Scribble, both artistic and practical: instead of trying to mix just the right paints to capture a landscape or replicate a color scheme for your interior remodel, you can scan the actual colors of environments and use those. 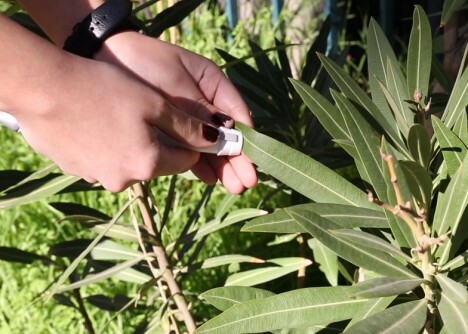 Users can then upload, store, tag and share their color picks for future applications. The Color Picker by Jinsun Park (shown below) was a purely conceptual design model at the time, but operated on the same principle (like the Photoshop eyedropper tool), made to contain a series of inks that (much like a printer) would mix in the appropriate amounts, reproducing colors scanned into it. 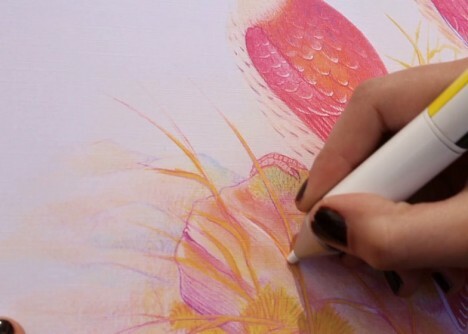 This new variant on the device also converts the colors into other formats (like binary, decimal and hexadecimal) that can be saved and deployed for digital art. 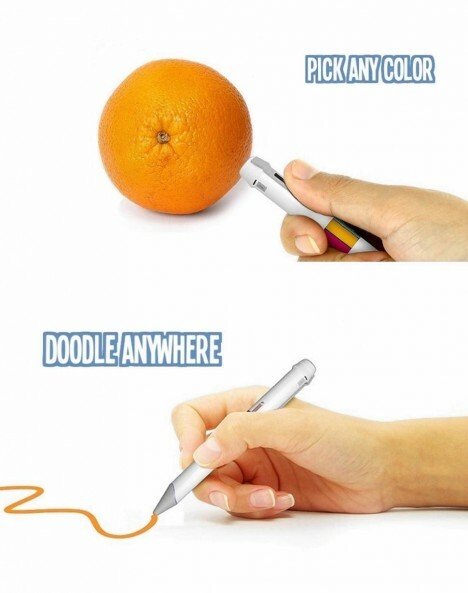 And with cartridge refills, you will never need to buy another color of pen. 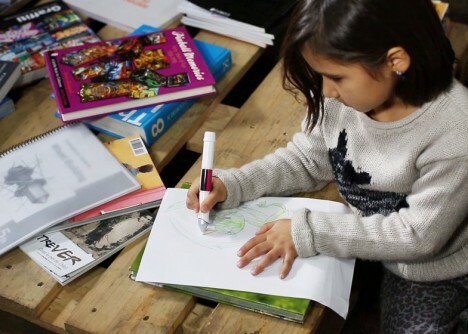 The applications are myriad: “For the colour blind, kids, interior decorators, homeowners, teachers, artists, photographers, designers and students, the Scribble colour picker pen will make copying an exact colour, any colour from any object, an absolute breeze. 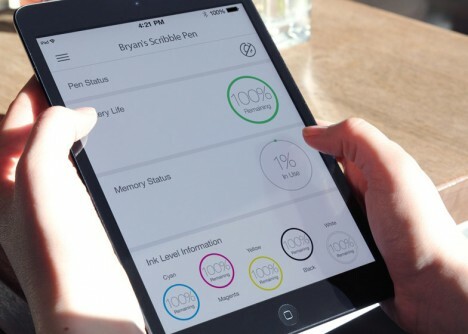 With Scribble you can scan, match or compare colours, draw on paper or your mobile device.” Of course, you don’t have to scan in a new color – you can always mix your own on the computer and input that preferred tone too.